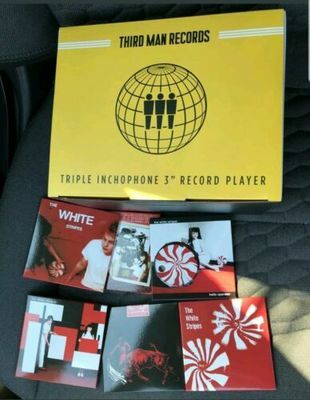 The White Stripes Record Store Day Third Man Inchophone + Complete 3” Record Set. Condition is New. Shipped with USPS Media Mail.